The 54th ANC national conference runs from the 16th to the 20th of December. A new ANC president is to be elected. The difference between the two main contenders makes for a binary outcome. Scenario I could possible presage more of the same, if not worse. Scenario 2 could possibly presage a new dawn and renewal. 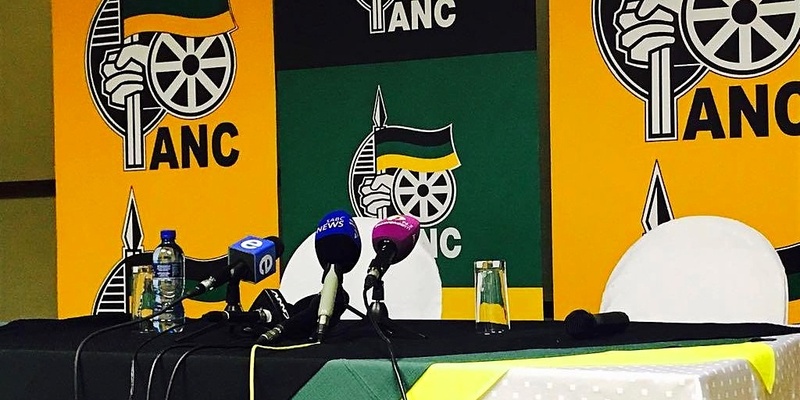 There is a Scenario 3, a version of Scenario 1, where deep divisiveness and the prospect of continued malaise precipitates a breakaway on a scale never seen before and thus splits the ANC vote down the middle for the general election in mid-2019. In that instance, no one party has an outright majority, which would bring an interesting new dynamic. Regardless of the outcome it is prudent to hedge your bets and have a good proportion of SA politics-proof stocks. At the time of writing, the South African economic situation is poor and the social situation deteriorating. The cause of this malaise is self-evident to all but the myopic or ideologically intransigent or those driven by shallow pecuniary self-interest. Even the ratings agencies have made their judgement calls on South Africa’s sovereign credit rating. The current trajectory has the country going bust if there isn’t sweeping structural reform. The credit assessment by ratings’ agencies is a journey and we have a had a clear line of sight on where their thinking is headed, which is not encouraging. S&P has been sending out powerful smoke signals for at least two years. The ANC, in government, has chosen to not take heed. Moody’s recently placed South Africa on review and S&P again lowered the rating, this time to speculative or sub-investment grade for both the local long-term foreign currency rating and the long-term local currency rating. The recent downgrades were priced in, hence the rally in the currency and long bonds. As a reminder, credit ratings do not indicate investment merit but rather credit risk. So, this is not a judgement on whether a listed stock is a buy or a sell. It is about the ability and willingness of an issuer to meet financial obligations in full and on time, credit quality, and the relative likelihood that the issuer may or may not default. What investors in the stock market need to be aware of though is the currency risk associated with the ownership of South African government debt. One may assume that because 90% of government debt is denominated in rand, with only 10% in foreign currency, that currency risk is minimal. This is not the case. Over 50% of government debt is effectively external as foreigners now have 42% of rand-denominated debt, up from 37% this time last year. With half of government debt external we are at the mercy of foreign investor sentiment in our bonds. If we behave badly they leave or demand a high premium to hold that debt, which costs us more to service the debt. Debt servicing is up to 13% of government spending and has escalated rapidly. Whilst foreign-owned domestic debt ownership has increased, this is not a sign of confidence. South Africa has been losing the bond investors with investment grade mandates. The composition of debt ownership has been changing and increasing. Investors with a shorter-term horizon, hungry for yield, have replaced conservative investors that take a longer view. The carpetbaggers or opportunists will quickly head for the hills if things turn sour. And once that happens who do you sell to? Who buys your bonds when the opportunists dry up? You may end up skirting with default or defaulting. That is where the vulture funds come in, specialists in distressed debt. Argentina is an example of where we don’t want to end up. The R186 10-year bond has still risen, and at 9,25% at the time of writing over 80 basis points or 0,8% higher than in September. If Scenario 1 happens at the ANC elective conference, rates are likely to edge higher still. The policy thoughts propounded by this candidate are not growth friendly and would likely accentuate the malaise. Political concerns are heightened and investors, even the yield-hungry ones, are sensitive to it. A sell-off on the rand, or a rise in developed market rates, would also place further downside pressure on bond prices and raise the yield. Short rates have edged down by 0,25% since 21 July and it is unlikely the Reserve Bank will ease further given the concerns over political instability, politically-induced economic problems, and low confidence. The medium-term consequences of fiscal delinquency and crowding out by government of the private sector are real concerns. In addition, although not a high probability yet, an introduction of prescribed asset requirements, forcing institutional investors to buy a certain proportion of government debt, would be damaging. If Scenario 2 eventuates, these concerns don’t evaporate we just get a breathing space to hopefully put in place pragmatic solutions to self-inflicted problems. Sentiment and confidence would improve, and South Africa may get a benefit-of-the-doubt premium. That will be difficult but not half as difficult as Scenario 1. Growth friendly policies and policy certainty would ease the strain on public finances. If Scenario 3 happens, then political uncertainty ratchets up a notch and we are in limbo land for at least eighteen months. This is messy, and we’ll have no idea until mid to late 2019 as to what happens next. It is also a recipe for continued stagnation. With an ANC splintering, future coalition politics or a minority government don’t make for constructive conviction policies that a Scenario 2 could bring about. 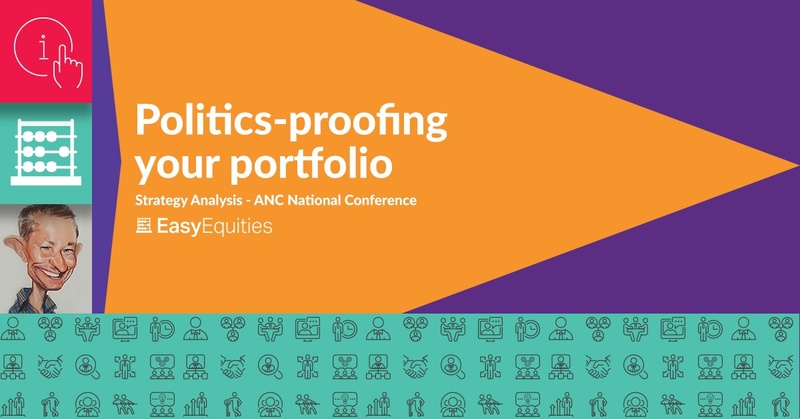 Investors should be mindful that even in a Scenario 2 outcome at the ANC elective conference, there is no glide path to stellar returns locally in the short term. But hope is a powerful motivator and we’ll see the market pricing in better days ahead. Regardless of what happens by the 20th of December, a good mix and match of stocks is still recommended, with a bias to offshore. But in having offshore exposure, either indirectly on the JSE through companies with a big offshore earnings component, or directly through US Stocks via Easy Equities, investors need to think less in rand and more in foreign currency. Being offshore means you invest in your international purchasing power. If the rand strengthens in Scenario 2, the value of your US listed investment will be the same in US dollars, but it’ll weaken in rand. If that’s the case, ignore the rand value. Satisfy yourself that your US asset is sound, and maybe buy some more. In Scenario 1 and 3, the scope for the rand to hold value is undermined. Whilst there may be temporary bouts of relative strength there is likely to be a weakening bias. In which case, rand cost averaging your exposure to offshore assets through a steady accumulation of offshore assets as and when you can afford to, even with a declining currency, would still leave you in better position than if you were simply exposed to rand only assets. 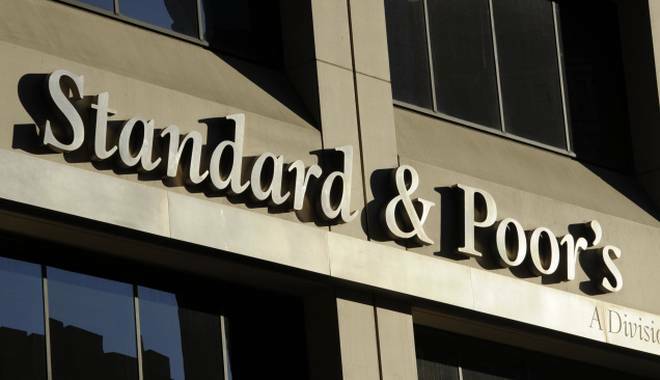 Exposure to an exchange traded currency note and a ZAR denominated exchange traded fund that tracks an index such as the S&P 500 are possible options for rand-dominated investors. You don’t necessarily have to have funds abroad to get the foreign exposure you may want. And you still have your fall-back option of some solid, locally listed JSE stocks that give a similar hedge and earnings diversification. In choosing your US stocks, be careful not to get caught up with companies that are glamorous but of which you have little fundamental knowledge. Ultimately, it is earnings that drive share prices in the longer term and some stocks are light on earnings and big on promise. Tesla may seem to be a “cool” stock but it may not fit your risk profile. A stock that seems expensive at face value, for example a weighty price earnings multiple, may in fact not be once you factor in its future strong cash flows and adjust for certain accounting items. The top tech stocks of the moment are not as vulnerable as dotcom stocks were in 2000 but be careful when taking exposure to FAANG and BANT type stocks. In the daunting US market, you are on your own. You probably won’t have access to institutional quality equity analysis from well-known firms like JP Morgan. Big institutions have the resources to make calculated decisions on stocks and allocation of assets. But there are some useful tools via websites at your disposal so take advantage. Buy what you think you understand. Don’t be afraid to sell and switch if there is a better alternative, buy and hold isn’t always the way to go, even Warren Buffet knows that. Remember too, that many US stocks may be listed on the NYSE or NASDAQ but generate foreign earnings. So, they are not entirely dollar driven. Understand with each company you choose what those proportions are. Let’s use Bidcorp on the JSE as an analogy; the foodservice group has 90% of its earnings generated outside of South Africa. If unsure, then there are many exchange traded funds that could reduce your risk and give you more peace of mind than if you were wholly invested in a few names. ETF’s come in all shapes and sizes with differing themes, assets classes, regions, strategies, sectors, income orientated, or growth orientated, and so forth. In fact, ETF’s can still be daunting. As with a stock, choose carefully. You are still exposed to listed equities, albeit with stock-specific exposure very diluted as most ETF’s have dozens, even hundreds of stocks that they are exposed to. Some ETF’s will be more volatile than others. They are not riskless. ETF’s also have differing expense ratios and ideally you want to minimise your cost unless a higher expense ratio is justifiable because of speciality or growth objective. The iShares Core S&P 500 ETF has an expense ratio of only 0,04%. It mirrors the S&P 500 exactly and benchmarked to the S&P 500 too. By contrast, the iShares U.S. Technology ETF has an expense ratio of 0,44%. This ETF has 141 stocks and is more specialised. 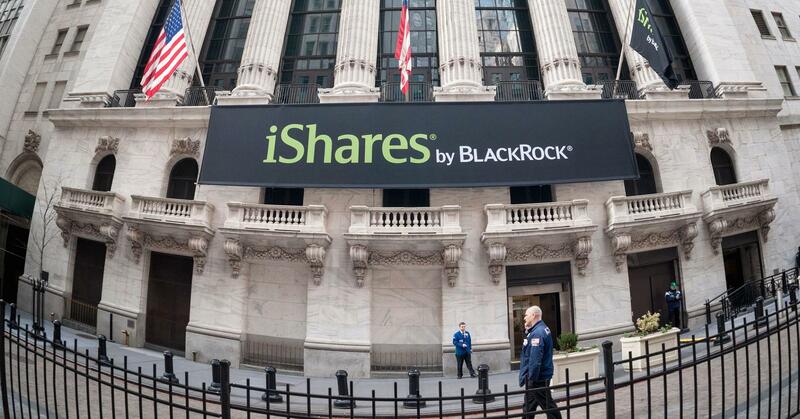 You are able to invest in a myriad of iShares by BlackRock using the EasyEquities US Stocks account on the platform. Opening an account is easy and quick but you will need a US bank account which you can get through your own bank. Read more information on how to deposit funds into an EasyEquities USD Account. Living at the bottom end of Africa, we face more challenges than most people in developed countries. But investors can still enjoy that which South Africa has to offer whilst mitigating their exposure to wealth-denting events and political uncertainty through a world of opportunity in the US markets or through judicious selection of local alternatives. Enjoy the experience.